What your niche will be? Can I write on this topic? 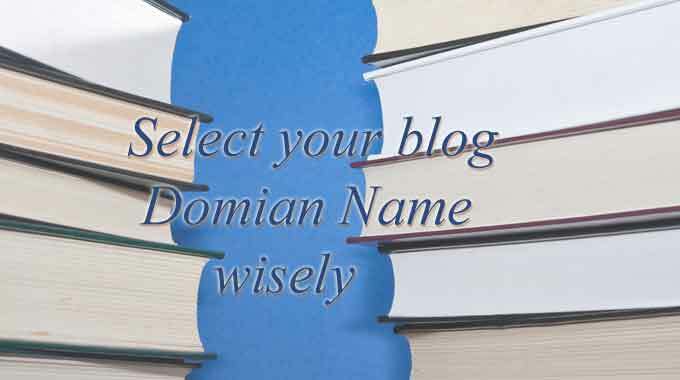 And the very first step is to select the domain name for your blog which clearly indicate your niche. There are other term also which called “ego surfing” where you can select a name which doesn’t have any meaning, but that is later part and not for beginners. Here are few things you must keep in mind while selecting your domain name. 1. Go for domian name generator first. There are many domain online domain name generator which generate domain name if you input some keywords on which you need domain. So the domain name generator shows you many combination of available domain. One Good domain name generator which I suggest is namemesh.com. 2. Must define your blog topic. I have seen many people who start for other things and end up writing other things. I bet you have also seen some website whose domain name have other meaning the article you read is not related to that. And thus leaving bad impact on reader. For example say you started the website to showcase wordpress theme but you end up writing about wordpress tutorial. 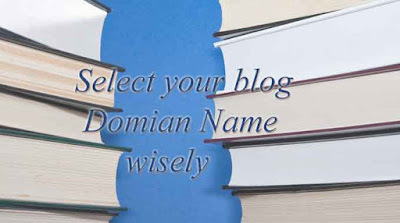 Choose Domain name which clearly mention you blog niche. You can swirl or wirl the keywords combination but that too related to your niche only. Choose domain name which is easy to remember. Once read or told, the domain must not seem too difficult to remember. For that you must use two general and combine. But such domains are not easily available. Like Tech and magic are two easily known words but i bet that techmagic.com will not be available. So try like techOmagic, which can be remember and pronounceable. 4. Avoid hyphen and number. Don’t use number or hyphen in domain name. That is not a good practice. Because we think its easy to remember like tips2use.com, so using 2 instead of to only because the name is not available is not good thing. Once you heard and then you want to surf it, then people will first think of “to” instead of “2”. Also hyphen is also not remembered by people. The words like scoopwhoop or scrapwrap which have rhyme does a great impact on reader and one who hear the word. If you tell people my word of mouth then they catch it easily and are high chances to visit by hearing like this. This are easy to remember and also attractive to hear and see. Search for such availability of domain. It is not necessary but if the domain name have some meaning then its good. Have you know any popular blog or website which you follow. You will see that the domain name have great meaning which clearly define their niche and all the above points I mentioned. So try to choose a proper keywords combination which have certain meaning or nearly a meaning to your niche. If you are very centric about keywords and want to use the combination of known keywords only, then keep Search Engine in mind. Think what you or anyone will type in Search Engine, what keywords he will use. So such combination is a great domain name. Before so many update of Google’s, it was used to give preference on such domain for search results. But now this is not working, but using such domain name are very very easy to remember. Because people search phrase is your domain name, so what else they need to remember your website name. All the keywords, niche and eary to remember name are good but if you become little creative while selection then it will be add on for your name. Why creativity is must in everything from selection of domain to writing article? And the answer is simple, it makes you different and unique in crowd. So be creative to stay aside from crowd and create your unique identity.